Walking into a dispensary for the first time, or the 20th time can be a confusing thing for anyone. Suddenly anyone over 21 can buy marijuana, and it’s become a complex world that goes way beyond joints. 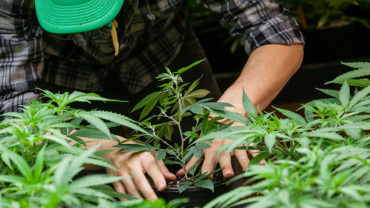 Exactly what to buy is often just a guessing game, and even after spending a few years buying cannabis, there are questions that can be elusive and confusing. 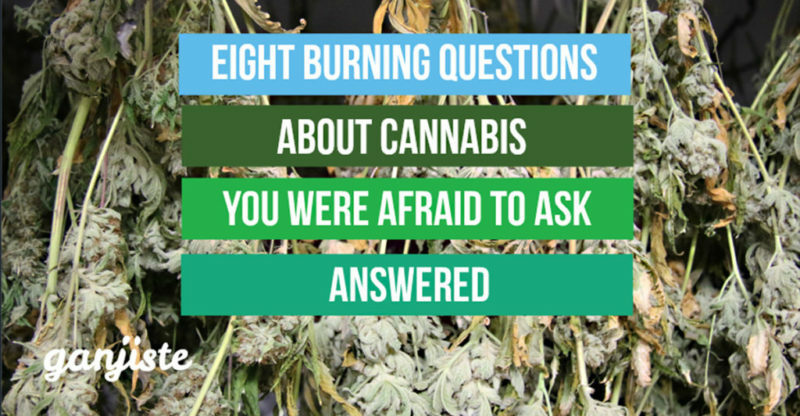 Good news: I’ve asked the dumb questions to dozens of budtenders, growers, dispensary owners and friends to get a grip on the questions that often have more complicated answers than they need to. Should I buy indoor grown? Why shouldn’t I call it “grass” anymore? Should I smoke flowers or should I vape? You’ll obviously have to decide for yourself what works best, but maybe you’ll have a little more insight into those big burning questions — from basic to more complex — we’ve all had one time or another. Suddenly a lot of insiders are getting very particular about what you call pot (hint, don’t call it that). Here’s why: Fans of the plant prefer to use cannabis, because it comes with a lot less stigma and is, well, accurate. That is the scientific genus of the plant (did you know roses are a distant cousin? It’s true). “Marijuana” is actually a slang term, and some even think its roots in Mexican culture are racist. It’s become pretty standard lingo, however, and our federal laws and Atty. General use it to refer to cannabis. Words like grass, dope, pot, and weed are anachronisms. Please avoid them if you don’t want to sound like your dad. Terms like “kind herb”, “bud”, “mary jane” and “ganja” sort of depend on the crowd, but use with a hint of irony. Don’t stress, this isn’t as difficult a question as it seems. Indica and Sativa merely refer to the species of cannabis plant. Indica typically produces a more relaxed high (hence the term: “In da couch”) where Sativa is more alert and uplifted. Many strains are a mix of the two, resulting in a “hybrid” with characteristics of both. Here’s the thing: You’ll find yourself leaning one way or the other, but there’s no way to really tell how a strain will affect you. Like wine, find something you like and don’t get too hung up if its called rose or sauvignon blanc. Shorthand for very fancy words–Tetrahydrocannabinol (THC) and Cannabidiol (CBD)–which almost no one can say right. What you need to know is that THC gets you high. CBD is the stuff that doesn’t get you high (and many folks are hoping has some real potential for medical applications.) Because cannabis is still illegal federally, real medical testing is pretty hard to do. There’s plenty more to discuss about CBD and THC working together, but what’s most important is to find what works for you. High CBD/Low THC tinctures and sublinguals are a great starting spot if you are looking for relief without a big buzz. Everyone has an opinion about this, and you’ll hear a lot about indoor as the gold standard. Both have their pluses. Indoor has the benefit of being more controlled, with less chance of weather, bug or drift disasters and a more consistent product. I’ve long been an indoor devotee. Currently, however, I’m becoming more and more enamored of outdoor biodynamically grown flowers. The artisan growers involved in this process are everything that’s so great about Northern California’s Wine Country — based in terroir, micro-batched, full of personality, and obsessively cultivated. Unfortunately, new state laws and taxes can be onerous on these tiny family farms, and larger farms may replace them. Boo. More about that later. Flowers are the raw experience, the sticky buds of the cannabis plant that are typically smoked. That means you need a smoking implement and a good fan. Vaping utilizes a liquid concentrate made from flowers (and sometimes other parts of the plant) attached to a battery-operated pen — very similar to E-cigarettes. The liquid is heated to produce a vapor that is inhaled. Vaping is discreet, and often less harsh than flowers. But it’s a different experience. With vaping, there’s usually a bit bigger hit up front and the effects can be more short-lived than flowers. Benefit: You can vape without alerting the neighborhood, and can be micro-dosed. Flowers are totally OG, and usually a more full-spectrum high. See how there’s a time and a place for either? I use both. Garden Society gelees are infused with a microdose of cannabis. The bad old days of over-medicated brownies are thankfully going away, and accurately-dosed chocolate truffles, popcorn, teas, gum and beverages are delivering a non-smoking experience that’s a lot more reliable. Still, eating cannabis is nothing like smoking it. Edible highs will last up to six hours, and for me are often a fuzzy, kind of dizzying feeling. I like very low-dose edibles on Sunday mornings when I’m just relaxing with the paper, and they’re also great for sleep. Vaping is a great place for beginners to start. Dabbing is a terrible idea for a beginner. Super-concentrated, high THC products like sauce, shatter, budder, and sugar offer high-intensity experiences best appreciated by seasoned cannabis enthusiasts. Don’t be a hero. Tincture and extracts are ingested, topicals are put on the skin. Simple right? Not really, because they have very different results. Tinctures and extracts may or may not get you high. Topicals won’t get you high. Tinctures are made by soaking plant material in alcohol. Extracts are made by using a solvent other than alcohol. The big question is whether the tincture/extract product has been “decarboxylated” (a fancy word for heat-activated THC). If so, you’ll get high. If not, you won’t. Topicals are good for muscle or joint pain, though not everyone gets relief. There are also sensual topicals if you’re into that. Got more questions you want answered? Ask them below!